Mrs Watson came to visit. Mrs Watson came to visit us in a special assembly. Mrs Watson is 90 years old and is one of Windrush generation. She came to live in Birmingham from Jamaica in the West Indies. She was 27 years old when she arrived in this country in 1950. Mrs Watson had a job as a bus conductor. She shared her memories of living with her grandmother as a little girl and her first impressions of Birmingham. Mrs Watson has a long journey to reach Birmingham in 1950. First she sailed on a ship from Jamaica to Spain. Next she took a train to north of France. She then took a ferry and remembers the first time she saw the white cliffs of Dover. Finally she took a train up to Birmingham. 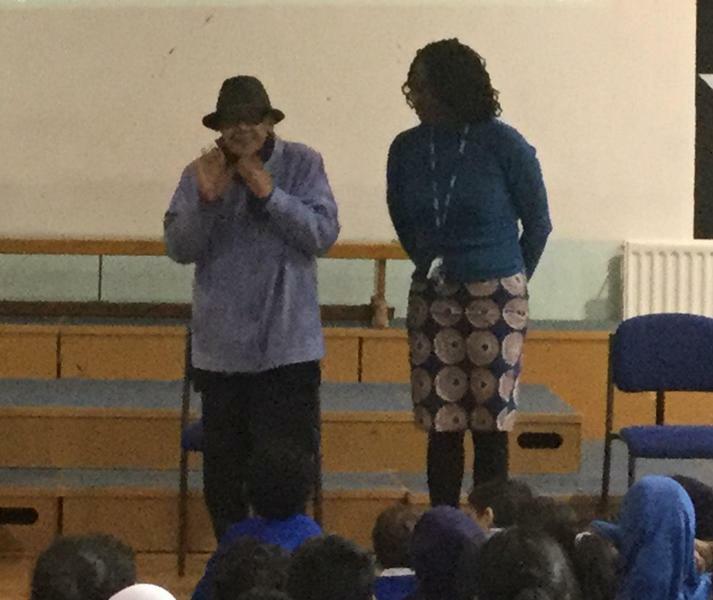 Mrs Watson shared that she had to get up at 5am every morning to travel to her job as a bus conductor. A police man stopped in his car one morning to ask where she was going. He then gave her a lift across to her job. Mrs Watson has never forgotten such kindness. Mrs Watson had a special message for all the children. "You can be whatever you want to be. Don't let anyone tell you, you can't. Believe in yourself. You can do it!" We are very grateful to Mrs Watson for taking the time to share her memories and special message with us.